Successfully Added Discreet HD Glasses (4GB) to your Shopping Cart. Looks exactly like normal glasses- but secretly records high definition video. 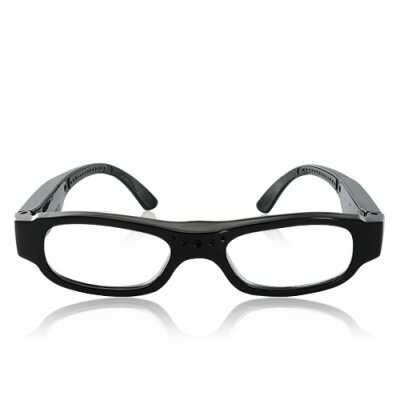 The I108 glasses let you record high quality undercover videos without anybody knowing the better. That’s because the tiny pinhole lens is well hidden into the frame itself and the record button is built into the logo. So even under close examinations no one will ever suspect a thing. The I108 sunglasses come with 4GB of internal memory and record stunning HD videos at 1280x720 30FPS. Using this device is quick and easy too. Simply turn it ON and it automatically begins recording. Press the logo once more and it will stop and save. The simple yet stylish construction matches any wardrobe and the lightweight design ensures maximum comfort all day long. If you’re looking for glasses that are dead easy to use, record brilliant video and actually look like normal glasses, then the I108 is sure to satisfy. Order now while supplies last and we’ll express ship your glasses out within 24 hours and even include our 1 year warranty. ON, OFF and record operations are operated by pressing the logo on the side of the glasses. Yes, they record video with audio.